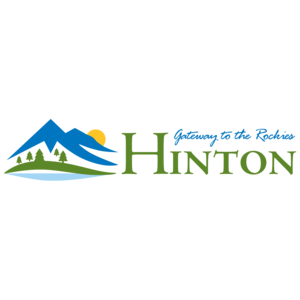 Volunteers Needed for the Hinton Growler! A HUGE shout out to our 30, yes THIRTY, volunteers who signed up to help the Hinton Growler 2018 - Fat Bike Endurance Race. YOU GUYS ROCK!!! If you are racing in this event, be sure to thank the volunteers! They'll be sporting neon green beanies this year - you can't miss 'em! The HMBA is still looking for volunteers for the Hinton Growler 2018 - Fat Bike Endurance Race. Each volunteer gets a an awesome beanie (thank you Dig That Stitch for great discounts! 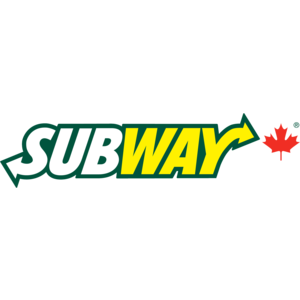 ), a Hinton Growler sticker, heat pads for hands (thank you Intersport in Hinton), heat pads for toes (thank you Maximum Work Gear), fed with a sub from Hinton's own Subway Restaurant AND a chance to win a $100 gift card donated by MR MIKES SteakhouseCasual Hinton ! 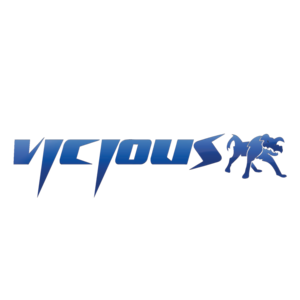 Follow this link to sign-up:http://signup.com/go/OQAThVH Pssst! We really need to fill up our course marshal spots! HMBA Seeking Volunteers for the Hinton Growler. Sign up today! When the volunteer internship is successfully completed, the student receives a $1000 award. And HMBA benefits from their volunteer work! Rock Band was a trail added to the Happy Creek Trail system in Spring of 2016 in the form of a short but sweet 0.6 km technical downhill trail option (Difficulty rating: Advanced (black)). Read about the initial build here. The last 70m of this trail went through a low-lying area and the above-average accumulation of rain in the Summer of 2016 made it clear that we needed to find a solution for this wet section, dubbed "Shrek's Swamp". 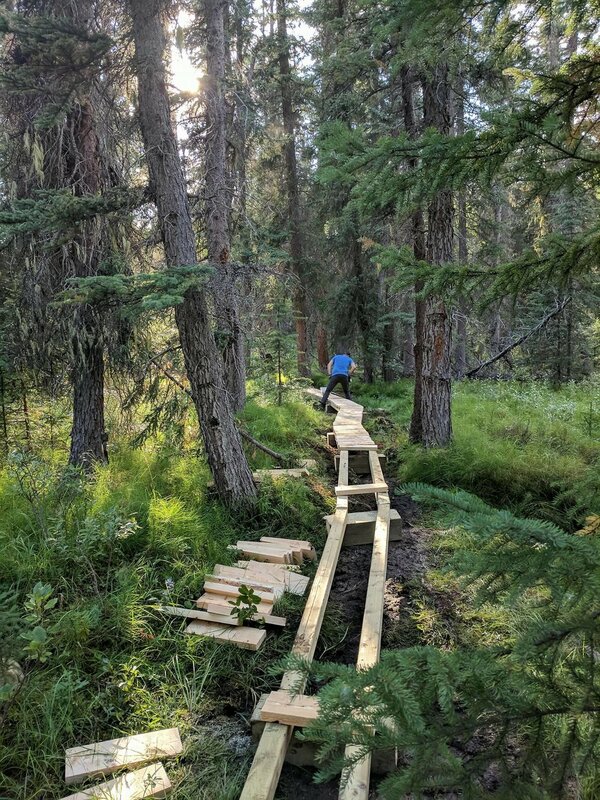 In the Spring of 2017, the Hinton Mountain Bike Association applied for the Hinton Community Grant and was awarded $2,035 to build a boardwalk for Rock Band. Thanks to the contributions of many volunteers in the past few months, the donation of lumber from West Fraser Mills Ltd., and the Hinton Community Grant, a long, winding technical feature was added to Rock Band's song. There is still a short section to complete to make it perfect, but it's definitely good to Rock'ON as is. Many thanks to all the awesome volunteers who made this happen - over 75 hours of volunteer time was put into this project! Lumber donated from West Fraser Mills Ltd. Thank you West Fraser Mills Ltd, Hinton Divison and the Town of Hinton for your contributions and support! Putting the Rokon + trail to good use! Some added excitement for the day! Luckily, no one or thing got hurt in this kerfuffle. Other modes of transportation. And yes, this mode had it's own kurfuffles! Good way to build up those riding arms! Maintenance night at the Bike Park was a big success! A total of 16 volunteers came out: 5 were RBC staff and 3 were under 12! :) THANK YOU VOLUNTEERS! - YOU ROCK!!! Big thanks to the Hoots Inc. crew for all their assistance and direction! A lot got accomplished! 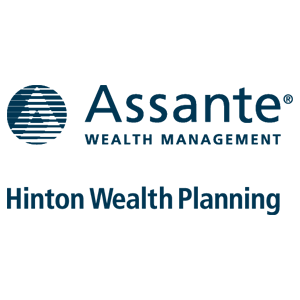 And a really BIG Thank You to the RBC Staff for selecting to support the HMBA again this year. Because they volunteered their personal time, RBC will now donate $1,000 to the HMBA. Something BIG coming in February for Fat Bikes! Stay tuned this winter for an exciting winter event in Hinton. Be sure to keep pedaling! With the warm spring weather quickly drying up our biking playgrounds, a few work bees have been put in motion starting this Tuesday April 12th, from 5:30pm until dusk. The work bee will continue on Wednesday and Thursday as well. 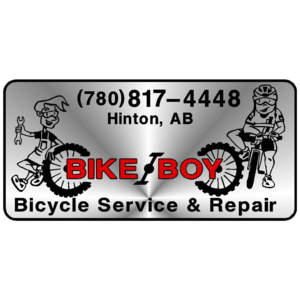 So if you have some time to spare this week, come on out to the Hinton Bike Park, pick up a broom or a rake and lend a hand! There will be lots of different tasks. On Tuesday, April 12, Wade Forester will be falling dangerous trees at the Hinton Bike Park. Please either avoid the Park or give a lot of distance for Wade to work. Big thanks in advance to Wade and his skilled labour volunteer hours! Photo credit: S.Pelley, HMBA facebook group. Local member contributing many volly hours on our trails! THANKS!!! to all the volunteers who have worked hard this past week picking garbage off trails, clearing deadfall and getting the other Hinton area trails ready for riding.